Please Save the Date, All Welcome! This year honors elementary school nominees and includes an Ice Cream Social plus music by members of the Denfeld Orchestra. Family and friends are welcome, the event is free and open to the public. 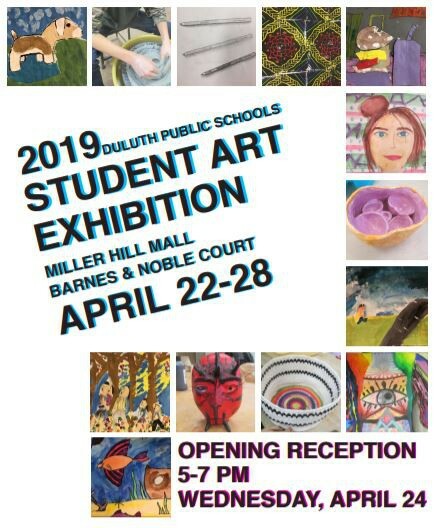 Lots of great work by our talented students - come out and show your support! Students from Lester Park and Congdon Park Elementaries visited the green house at Duluth East where high school students taught them about seeds, how they grow, and helped them plant tomatoes as part of the annual Tomato Man project. 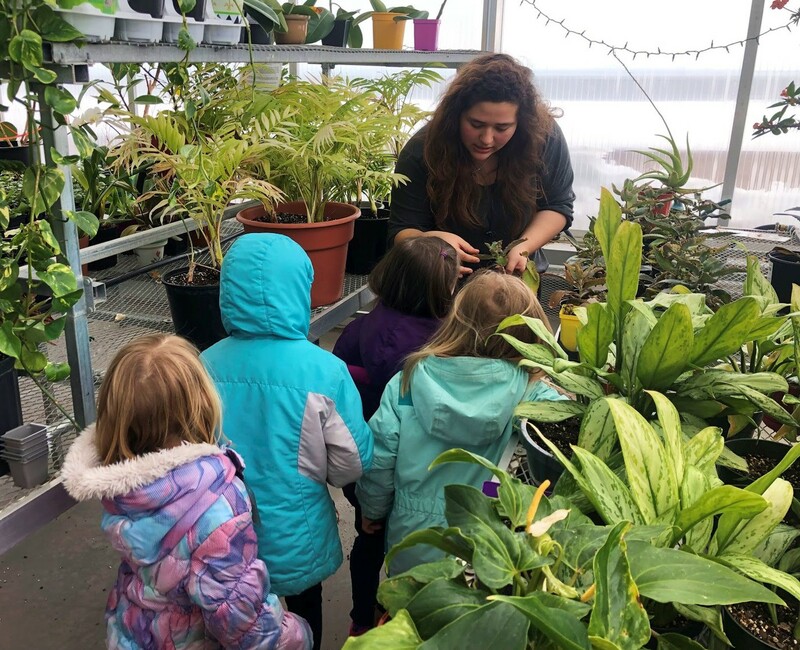 They’ll grow their tomato plants over the summer, many thanks to the Duluth East Plant Science students for helping out and teaching the little ones! Thank you, Renee Willemsen, for the photos and John Rudolph for the info. 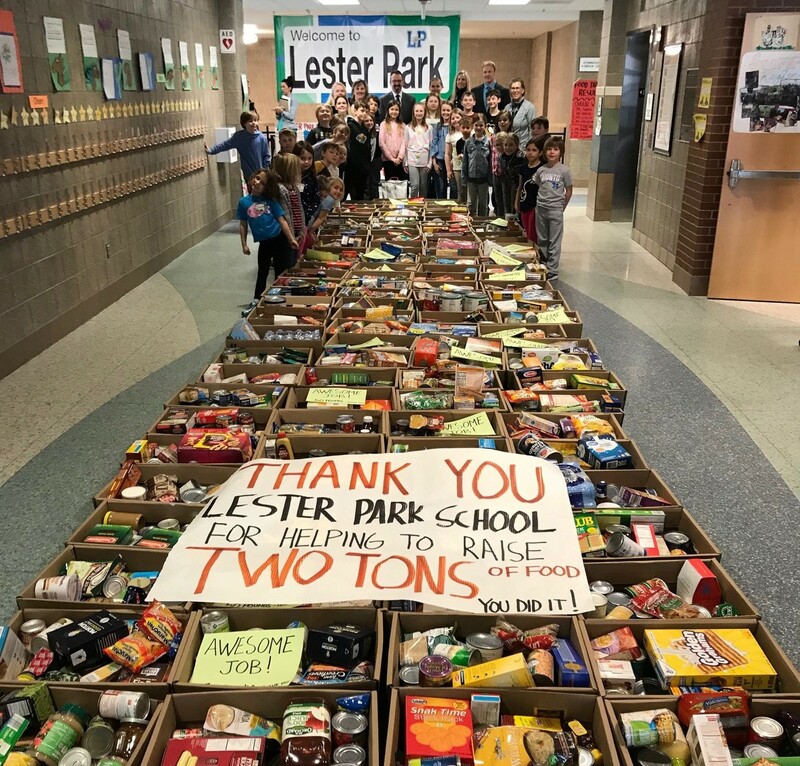 Lester Park Elementary students, staff and families collected over 2 tons of food and $550 for donation to the Union Gospel Mission in Duluth. 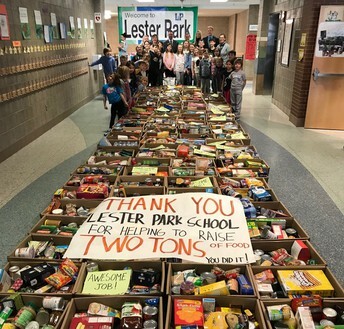 Mrs. Isbell's 1st grade class alone brought in 628 pound of food, wow! Many thanks to all who helped with this project and to Ruby's Pantry - Coppertop Church, Super One Lakeside and Papa Murphy's Pizza. Thank you, Tracy Thompson, for the photos and info. Health Occupation students from Denfeld & Duluth East High Schools earned top honors at the 2019 State HOSA Leadership Conference! 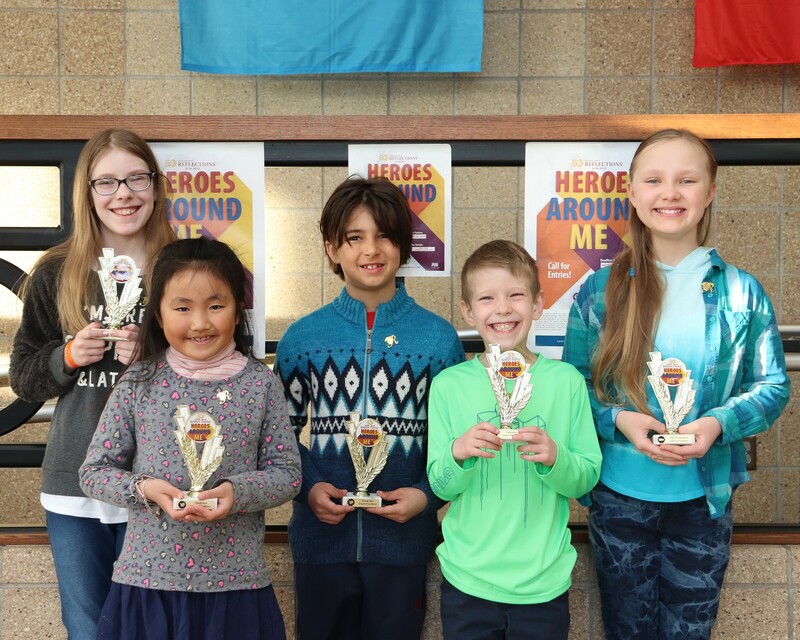 Congratulations, Adriana Birdseye, Arra Cora, Maddie Smith, Sophie Jezierski, Alyssa McCorison, Ise Lind, Elora Weiland, Rian Braun, Noelle Stellmaker, Shiena Sonaco, Ally Dahl, Trinity Alm, Alexandra Dahl, Mullen Johnson and Kaleb Rock. 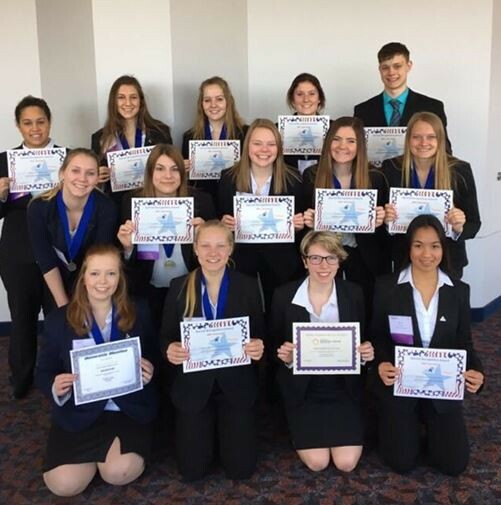 Students earned top spots in Medical Terminology, Medical Spelling, Home Health Aide, Nursing Assistant, Veterinary Science, Medical Reserve Corps Partnership, Barbara James Service Award, MRC Volunteer Recognition and a service project for the National Pediatric Cancer Foundation, among others. 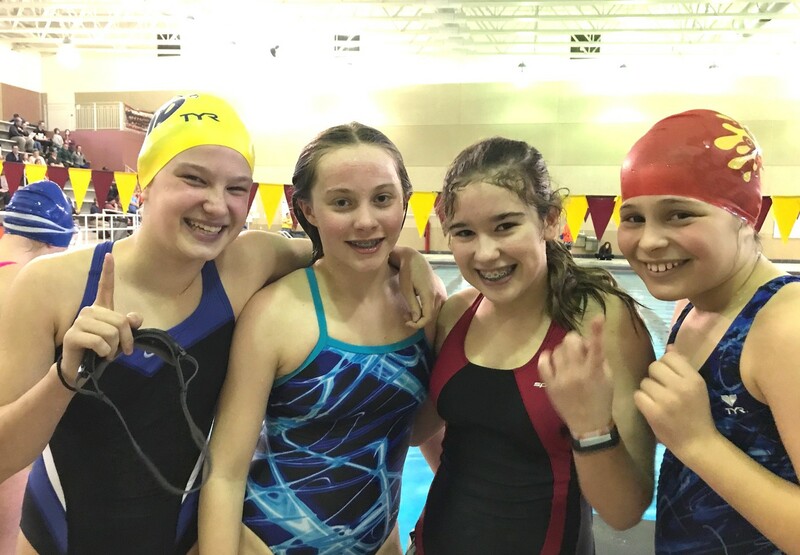 Thank you, Kim Olson, for the photos and info. Denfeld students competed at the MSHSL Section 7AA Tournament at Elk River - the Denfeld Speech Team is sending 6 speakers to the Minnesota State High School League State Speech Tournament April 12-13 at Wayzeta High School. They’ve worked, grown and succeeded. Our community is proud of you all. Word warriors using your voices. Challenging your audience. Inspiring. Brave. Congratulations. Thank you, Jill Lofald, for the post and photos. 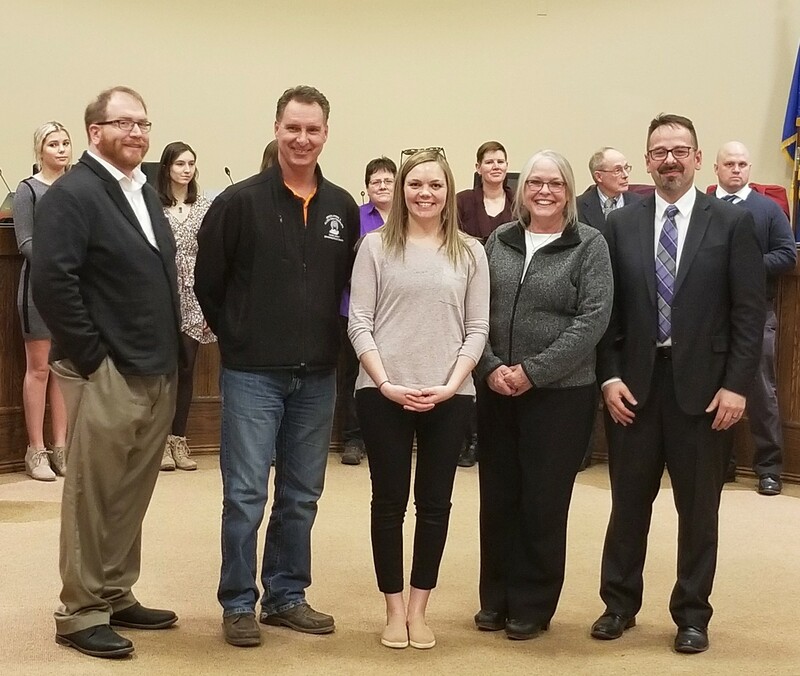 Members of the Construct Tomorrow organizing committee were recognized by the Duluth School Board in March. 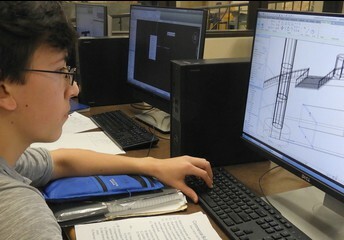 The Construct Tomorrow event provides high school students opportunities to learn more about good-paying careers in the building and construction trades. Many thanks for this important work! Deandre Taylor stopped by Lakewood Elementary to visit with students and talk about bullying prevention. Taylor says the Globetrotters basketball team are ambassadors of good will and work to touch the lives of children in a positive way. 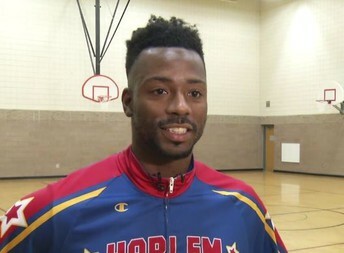 Taylor has been a Globetrotter for six years, the team recently played in Duluth. 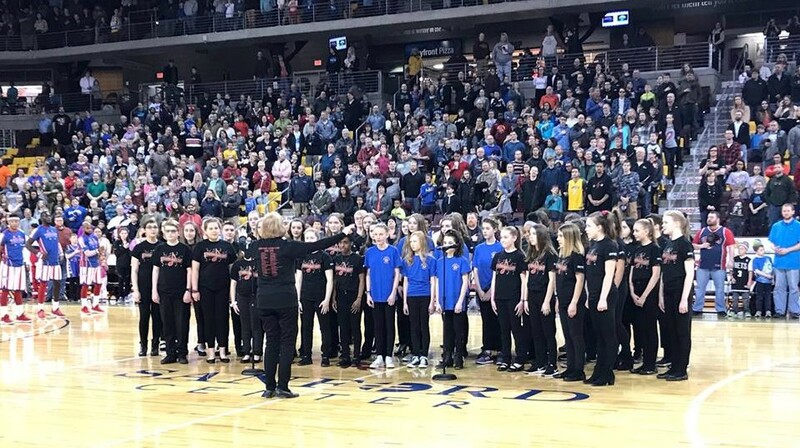 Students from Lincoln Park and Ordean East Middle School choirs sang the National Anthem at the Harlem Globetrotters game in Duluth. 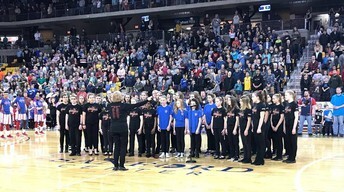 They sounded great and represented themselves and their schools well! Homecroft Elementary School held a STEM + Families Science Festival, the event included 10 experiment stations plus demonstrations by the Denfeld DNA Robotics Team, UMD, St. Louis County Youth in Action, and 4-H. Thanks to staff, parent leaders, families and community members who helped make this fun, engaging night possible. 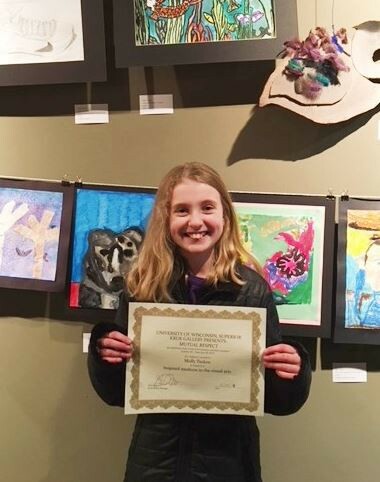 Congdon Park Elementary students won first place in the National PTA Reflections Art Program at their school and went on to compete at the state level. 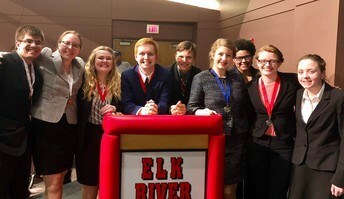 The literature pieces from Andrew Froehle and Abigail Froehle have now moved on to compete in the National PTA Reflections Program in Washington D.C. Thank you, Angel Sarkela-Saur, for the photo and info. 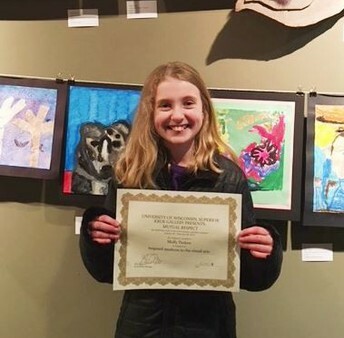 Molly Tusken, Lincoln Park Middle School, received an Inspired Medium in the Visual Arts Award at the Kruk Gallery on the UW-Superior Campus. 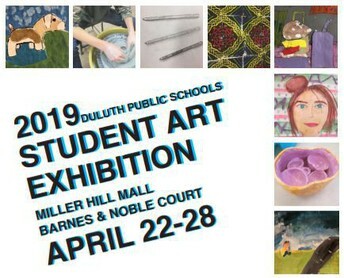 Her artwork was submitted for a month-long art show at the Kruk and chosen for this award out of 250 total student works. Congratulations, Molly! Thank you, Chrissy Valento, for the photo and info. Register Now for 2019/20 School Year! 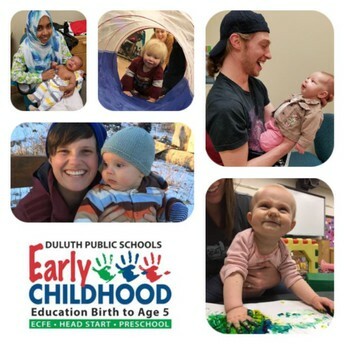 The early childhood years are an important time for your child's potential development and growth. A variety of helpful programs for families and their children are available through the Duluth Public Schools. 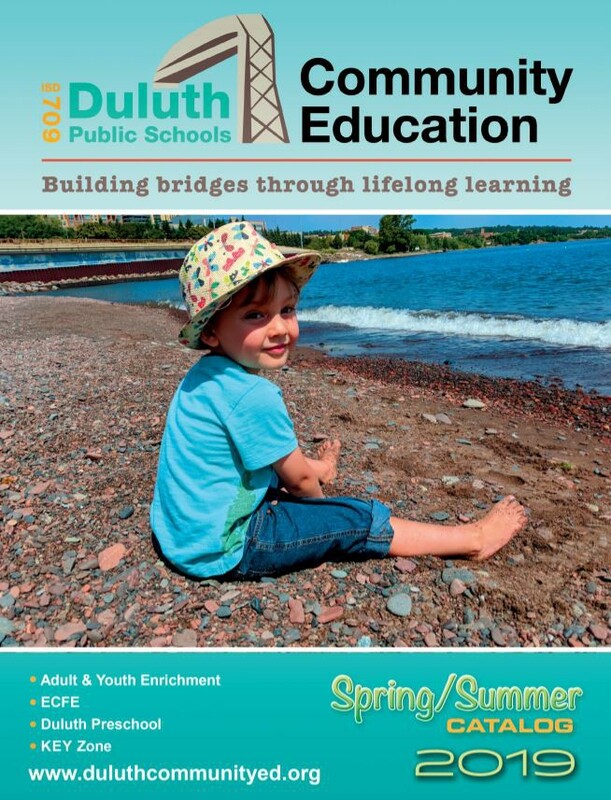 Duluth Preschool: Prepares each child for success in Kindergarten and beyond. 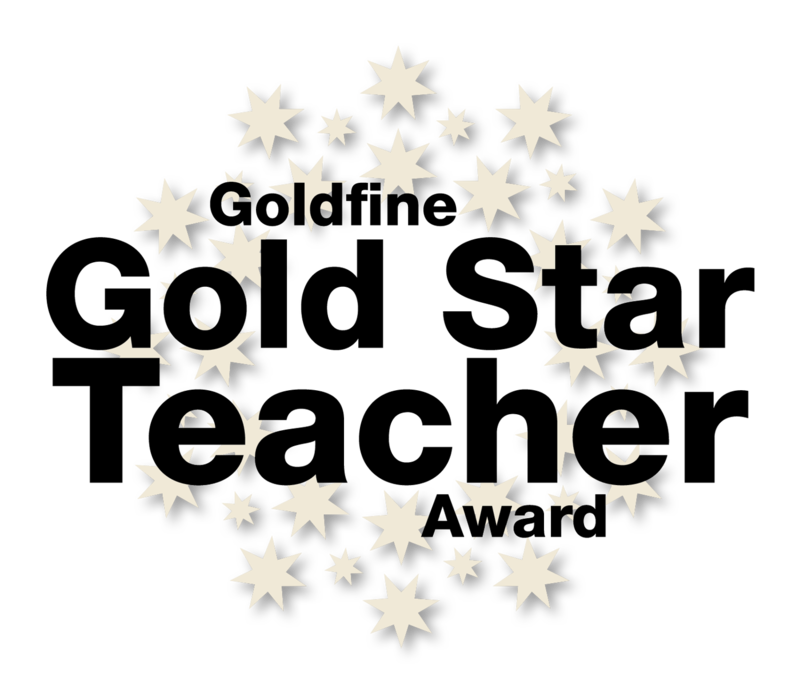 >MN Parent Award Rated – Four Stars of Excellence, the highest rating possible. >Social-emotional, language, physical and intellectual development. 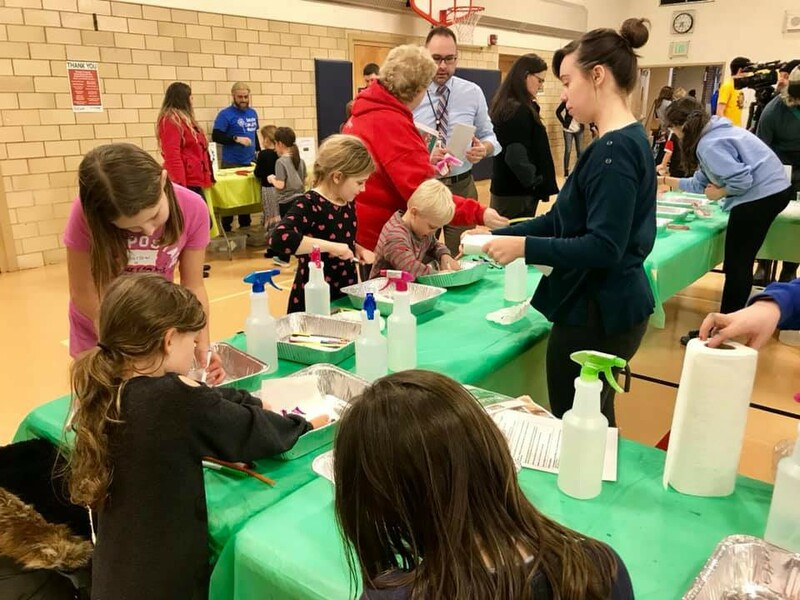 >Fun classrooms with licensed teachers using research-based curriculum who understand that children learn through play. >Free and affordable options at locations throughout the city based on family eligibility. >Early childhood special education services available. Early Childhood Family Education (ECFE): Enriching classes, parent/child activities and discussions for parents and caregivers to strengthen and support their child’s early learning and development. For families with children ages prenatal through 4 years old. A great opportunity to explore a new hobby, learn a new skill, meet new people. Something for everyone! 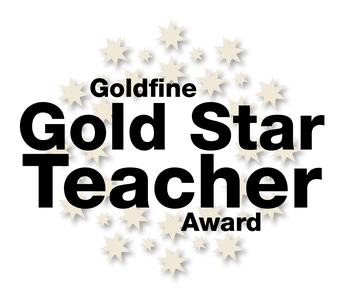 >>Project Access: Courses designed specifically for adults with disabilities.